In a few minutes it will be Thanksgiving Day, which is especially significant for our family this year because it is also LJ's second birthday!!! It's funny after you have kids. You look back at your life and everything you've done up until having them seems to pale in comparison (at least to me it does). And within a few weeks after birth, life before your precious baby seems like a distant memory. I have an old picture of JP and me on the shelf in LJ's room above the changing table. It matches his beachy room theme and, now that he's older, he can appreciate that it is mommy and daddy in the photo. 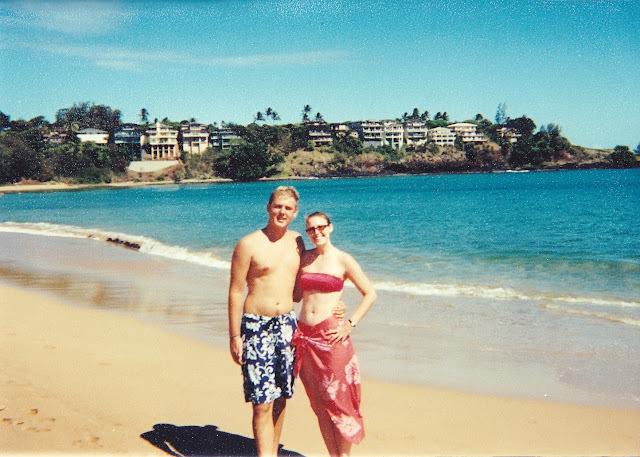 The other day I was thinking back to the circumstances behind the photo - it was taken on our honeymoon more than nine years ago. Not only did I have awesome abs that I was willing to have photographed (why didn't I appreciate them more back then! ), but LJ wasn't even a twinkle in our eye. Looking at that photograph, the time and the place and who we were then seemed like a world away. 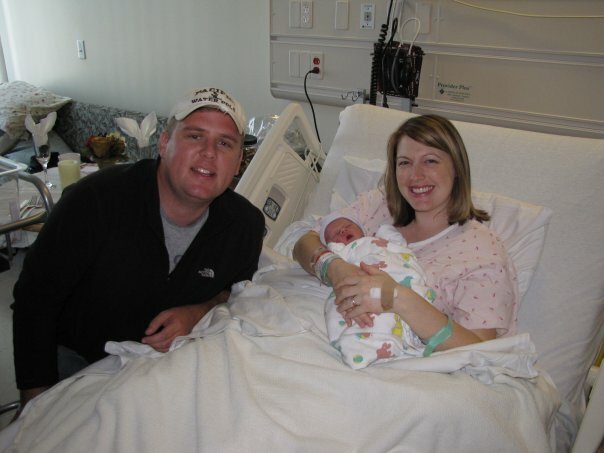 With a few minutes left on the eve of LJ's second birthday, it is fun to remember who we were then and how our life before baby made us the kind of parents we are today. But, this post isn't about that. It's about where we were at this time exactly two years ago tonight. For those of you who like birth stories (every family blog needs a good birth story right? ), here's an abbreviated version of LJ's birth day. For those of you who don't...um...sorry? 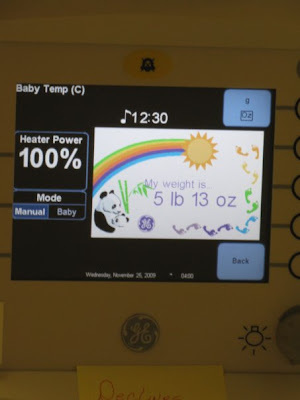 The day I went into labor was ridiculously normal. 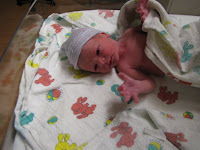 It was nine days before my due date and I was already off on maternity leave. My mom and I went to Target. I wore my "Due in December" tank top from my sister-in-law Som and, because I had a pretty inconspicuous baby bump the cashier said, "Are you really?" I put together LJ's bookshelf. We ate pizza. Then, what started out as a nice dinner at home with a friend quickly turned into something a bit more exciting. My water broke as I was opening a bag of packaged salad. (Quite possibly my favorite part of the story, besides the ending of course.) After a quick shower and some packing we headed down the road to Modesto. 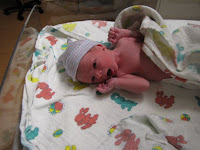 After confirming that I was in labor, I was admitted and we hunkered down for what we imagined would be a long night. We watched ELF and I labored on an exercise ball for awhile waiting for someone to come in and offer me drugs. I soon found out that they don't just offer them to you, they actually make you ASK for them. Finally, in the 11th hour, with the voices of several friends who had walked this road before me ringing in my ears, I ASKED. Meanwhile, JP was sitting to my left on the laptop looking up famous people born on November 24th. At the time I was super bummed that LJ wouldn't be born on a more numerically significant date. JP's search yielded only one exciting birthday buddy - Father Junipero Serra - also the namesake of JP's private and much-loved alma mater. I quickly calculated how many hours it would be until November 25th (days ending in an increment of five were close enough to numerically significant in my book), and decided that Father Serra was an acceptable person to share a birthday with, so we soldiered on. I remember being so scared the first few nights. Not wanting to fall asleep for fear something would happen to him or that he would stop breathing. In those early days, I remember thinking that parenting was the hardest thing I had ever done. Like really really hard. And also the most rewarding at the same time. It is still both of those things, but it is amazing how much your perspective changes once the hormones subside and you start stringing together more than 2 or 3 hours of sleep at a time. And when you have something this beautiful to look at, it makes the hard parts seem really insignificant. 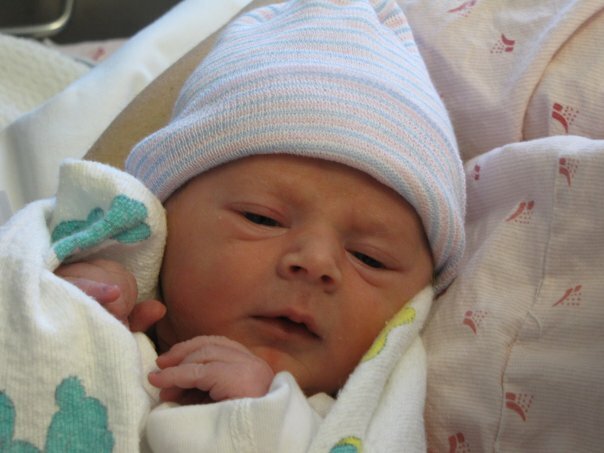 LJ has been a happy, easy and healthy baby. I often joke that I'm not sure I know how to be a "real mom," because we haven't had to deal with too many hard things with him. As a toddler he is a typical push-the-limits little boy; but also sensitive and already showing a caring and helpful spirit. He is imaginative and full of life and fun. He is quick to laugh and be silly about random things, but equally as quick to frustration if things don't go his way. Thankfully he is easily persuaded back to lightheartedness with simple distractions and doesn't stay cranky long. I can't wait to see what the future holds for him and who he will become. Happy Birthday Luke! We feel so blessed and though we are thankful for many things today, we are most thankful for YOU! Beautiful. I love birth stories :) SO thankful for you, Luke Perry!